What are publishers doing about global divides? One of the speakers at next week’s Publishers for Development conference, Janet Remmington, gives a personal account of some of the work of the scholarly publisher Taylor & Francis towards addressing information needs in the global South. Our world is more connected than ever, and yet it is not. 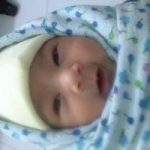 In our information age, publications and data abound, but we see global unevenness in the creation, availability, and application of knowledge resources. Open Access is importantly part of the picture, yet it is still evolving and does not come without its own challenges. Also, the very role of evidence-based findings and critical debate for addressing the problems and opportunities of our world is under threat. In the reality of our mixed economy, what are publishers doing to address information needs of the global South? In what follows, is a brief personal account of some of the work of Taylor & Francis. 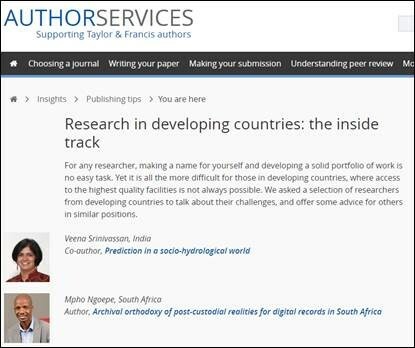 One half of my editorial role at Taylor & Francis for the past decade has been to head up our Africa journals programme across subjects and to play an active part in supporting research availability and authorship initiatives in low-income countries more generally. We have teamed up with African co-publishers, institutions, learned society journals, and research communities – our ‘local partnerships, global networks’ approach. We work from a base in South Africa to recognize and boost research from the region within the global knowledge arena (some co-publishing results are to be distilled in a talk at the 7th European Conference on African Studies). In a recent extension of our work, we’ve teamed up with The Conversation Africa to facilitate authors producing compelling journalistic write-ups to boost widespread engagement with African scholarship. 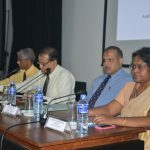 A key partner in developing region endeavours for many years has been INASP. 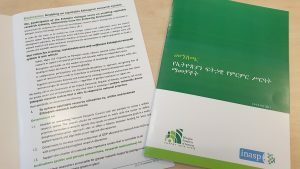 Our areas of cooperation include discounted access arrangements for partner countries via national consortia and author development in collaboration with AuthorAID. 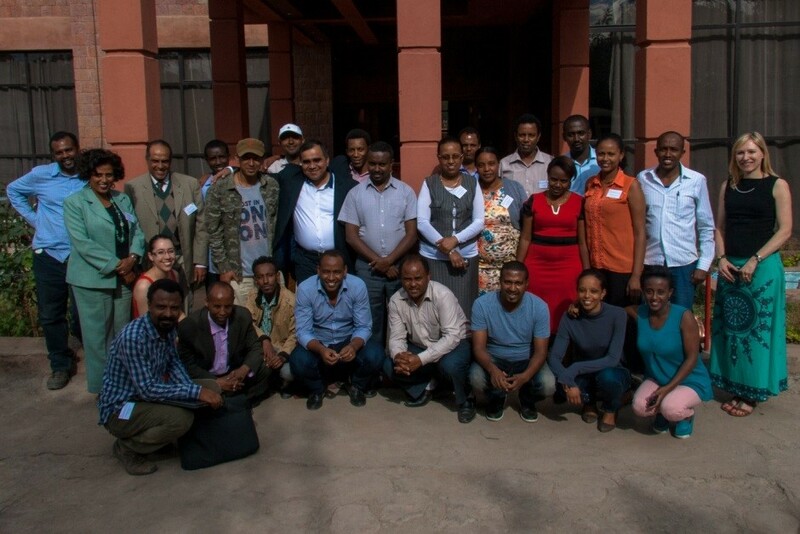 In 2014-2015, we co-hosted research writing and publishing workshops in Eastern Africa, with participants from the Kenyan and Ethiopian events highlighting ‘the importance of author guidelines and the issue of predatory journals’ and the ‘networks for preparing collaborative projects’ as valuable learning areas. In our recent lively Twitter discussion and Podcast on mentoring aimed at early-career researchers, AuthorAID was a key contributor. We’ve been linked into the Publishers for Development (PfD) initiative since its inception. PfD has created a productive space for listening, dialogue, and negotiation. INASP’s Principles for Responsible Engagement for Publishers, developed out of PfD conferences and developing-country user perspectives, bring important modes of practice to the fore around flexibility, longer-term planning, and open communication. Examples of working in sync with these principles include careful pricing phasing for a country with a growing economy; for another with cash flow challenges, agreeing to payment in instalments. Other valued partners include the public-private partnership Research4Life (R4L), which provides free and highly discounted access to research materials in health, environment, agriculture, and innovation (with law to come), and TEAAL, which makes available offline database environmental and agricultural resources. This year, INASP and R4L jointly supported the Advocacy Award, to which we contributed a prize. 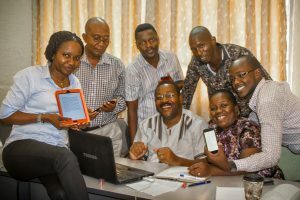 Additional partners include the impressive African Journals Online, International Training and Outreach Centre for Africa (ITOCA), Electronic Information for Libraries (EIFL), and many others. More than ever, companies, institutions, and organizations that focus on research and development are sharing and collaborating. To complement partner initiatives, we’ve been creating opportunities for reaching out virtually and in person. We’ve developed an in-house STAR programme supporting the individual researcher in the authoring process by providing a month’s free access. Our Author Services site has been building up its resources for academics in resource-constrained countries. Similarly, our Library pages have been developing to share insights from librarians around the world. Also, we provide developing country waivers and discounts for Open Access (OA), trying to enable OA authorship from the global South as well as OA knowledge consumption. We support conferences and events on the ground in many countries of the global South through our network of offices, and take the opportunity of visiting libraries all over the world to understand the user experience. 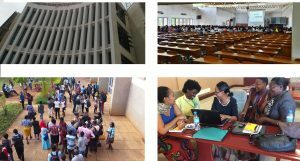 When I visited the University of Buea in Cameroon for the Association of Commonwealth Universities Summer School, for example, it was brought home to me the tough conditions under which faculty and students are working: three different internet providers catering for the campus and frequent outages. As an important piece by INASP highlights, it is the last kilometre that can make all the difference. In the past year at Taylor & Francis, we’ve convened an in-house cross-departmental working group for developing-country initiatives to raise awareness, coordinate endeavours, and share experiences [internal information sharing about development work at Taylor & Francis was the topic of Jane White’s presentation at last year’s PfD conference]. We are planning broader briefing sessions and an information hub for staff. There is more to do, with plans for the year ahead. An essential area to invest in further is to support women in research in the global South. Herman Mellville once said that ‘a thousand fibres connect us’ with our fellow human beings. This takes on a heightened dimension in our digital, globalized era. Through an open, proactive forum like Publishers for Development we are kept attuned to the bigger picture. Ultimately, we all believe that knowledge has the potential to make the world a better place and are challenged to work towards that. Janet Remmington is Regional Director for Africa and Editorial Director for the global Arts & Humanities journals at Taylor & Francis. For several years, she has been involved with developing regional journals, working with co-publishers and journal partners, and supporting developing country initiatives, including serving on the Research4Life executive council. Janet will be speaking at the Publishers for Development conference in Oxford on 11 July.